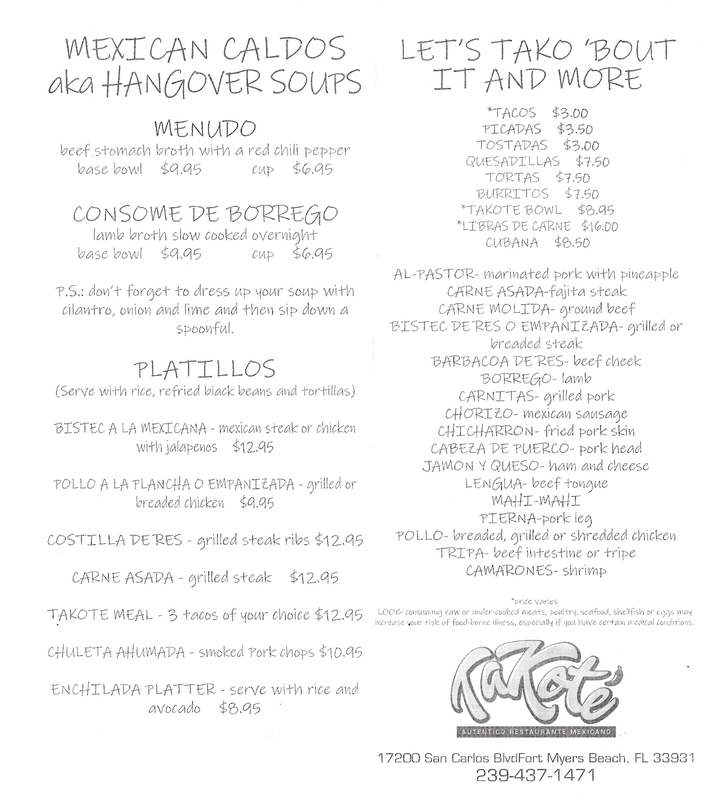 TaKote is a restaurant and Latin food market in Fort Myers. They were formerly known as Latinos Market but were closed for 15 months due to hurricane Irma in 2017. 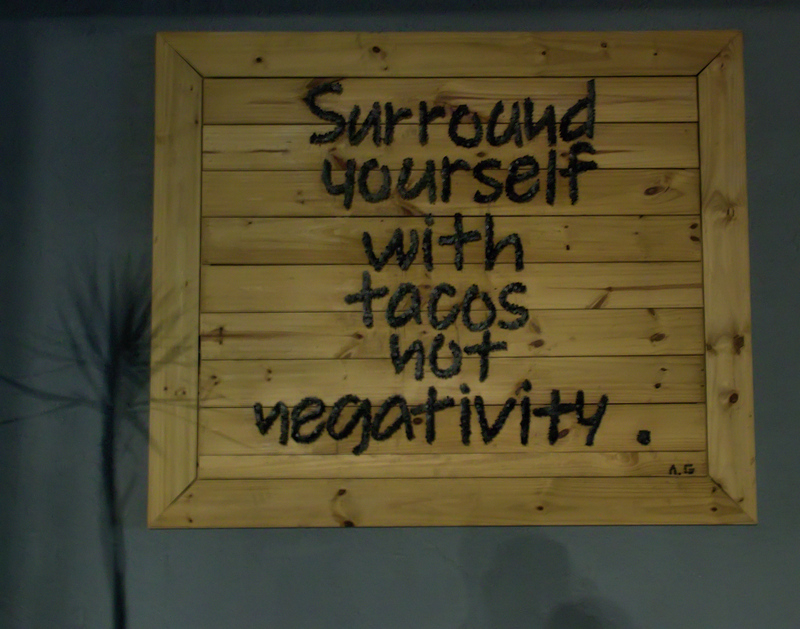 Their name is a play on the word taco with the suffix -ote, which in Spanish connotes big or in this case, big taco. 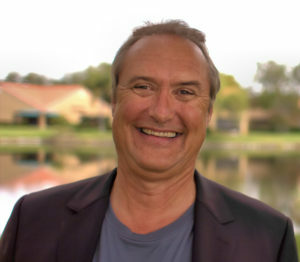 TaKote, as of this writing, has been open about one month and occupies the former Chamber of Commerce building on San Carlos Blvd. 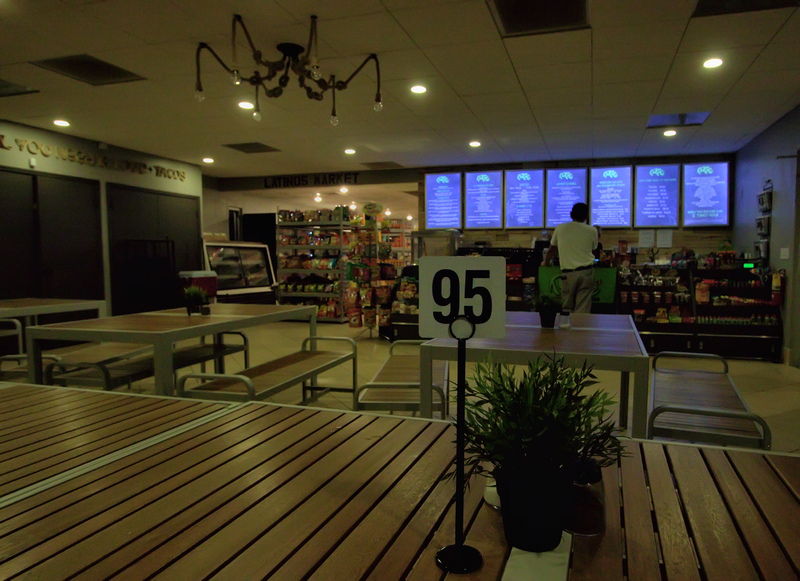 The restaurant follows a fast-casual model, where one orders and pays at a front counter, and the food is brought out a short time later. 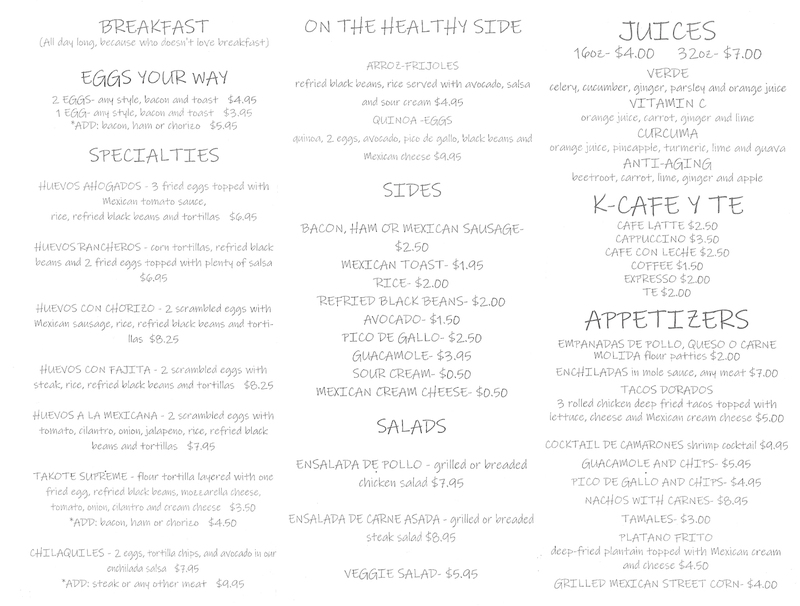 They serve breakfast, in addition to lunch and dinner, the latter two meals having the same menu. 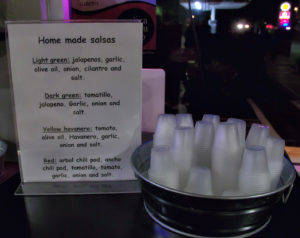 Before ordering, I noticed the restaurant had a number of interesting salsas made in house. 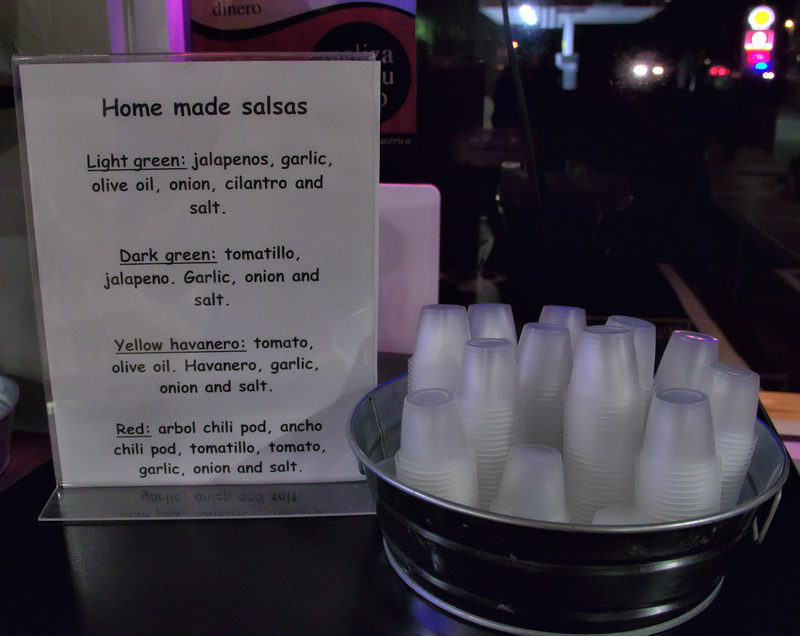 These ranged from salsa verde, a tomatillo based salsa, to salsa roja, made with arbol and ancho chillies. 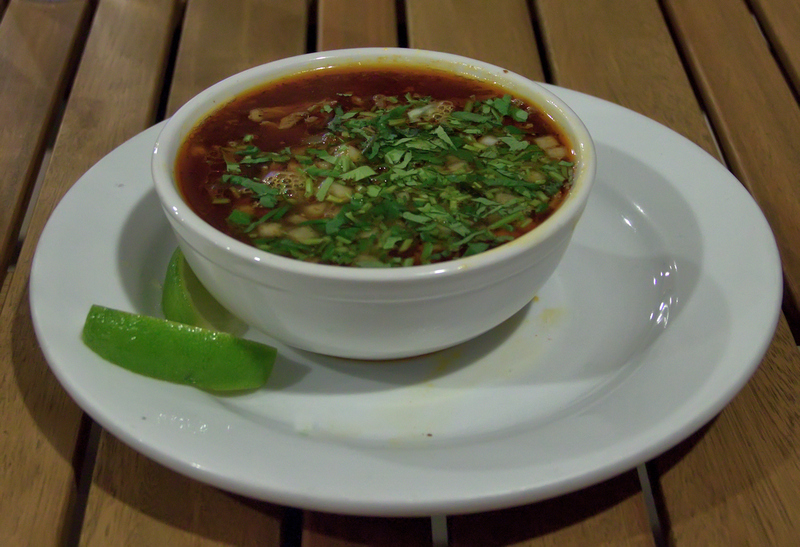 My dining companion and I went for dinner, and started with the Consume de Borrego (lamb soup). Although recipes can vary, this was a very complex dish with many layers of flavor. The addition of cilantro, onion and lime after cooking made this delicious soup even better. The soup is served with tortillas, which are meant to be used as a vehicle to eat the more than ample serving of braised lamb shoulder in this dish. We had ordered a cup of soup rather than a bowl. The serving given to us was very generous and could be a meal in itself. Highly recommended. We also sampled the enchiladas in Mole Sauce from the appetizer menu. Another complex and richly flavored dish, it can be ordered with any of the 15 meat choices available at TaKote, and we decided on chicken. 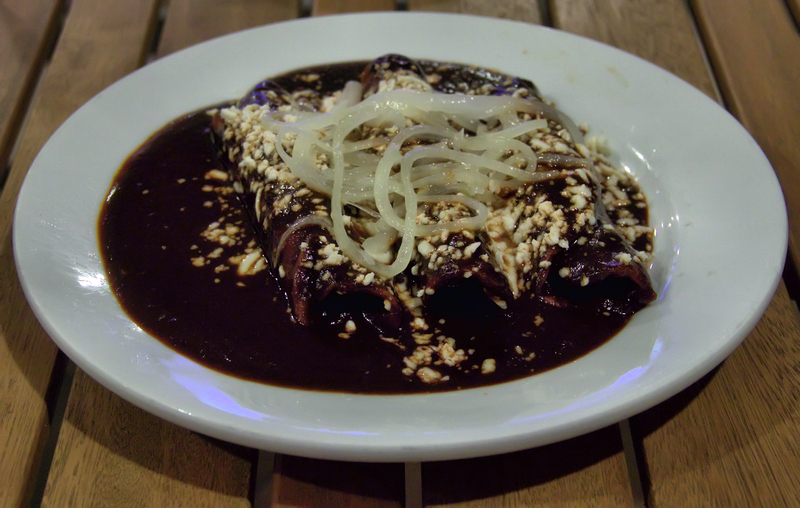 Topped with cotija cheese and onions, and smothered with mole sauce, this dish does not disappoint. This is another highly recommended menu item. 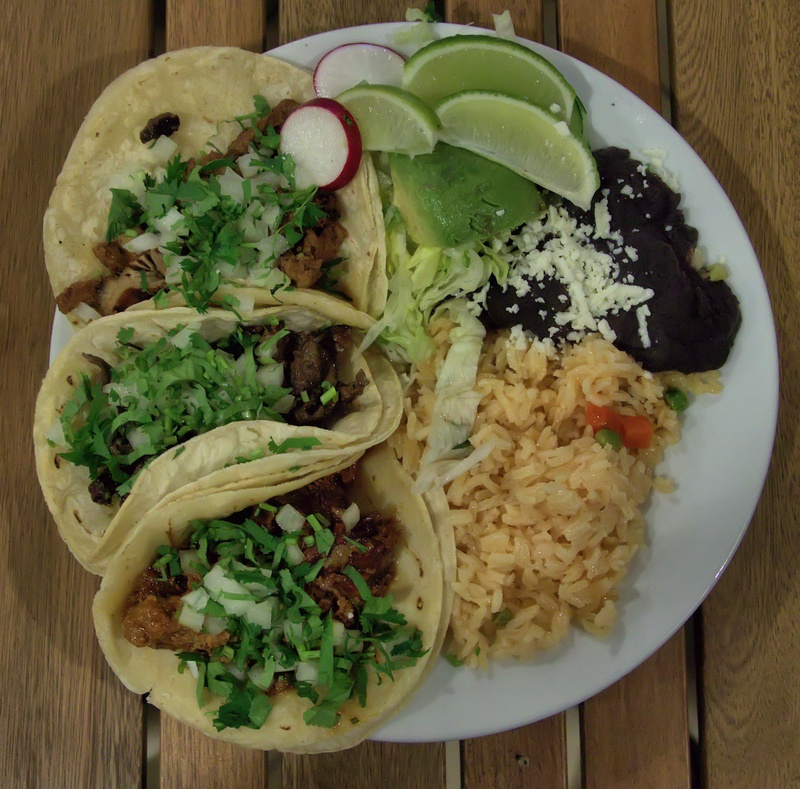 We followed with the TaKote meal, a choice of any three tacos served with rice, refried black beans, avocado, lime, lettuce and cilantro. My dining companion ordered the al pastor (rotisserie pork with pineapple), carne asada (steak) and chicharron (fried pork skin) taco flavors. The al pastor was different than most as the pork is served with bits of pineapple from the rotisserie, and was very flavorful, as were all our choices. Another highly recommended dish. 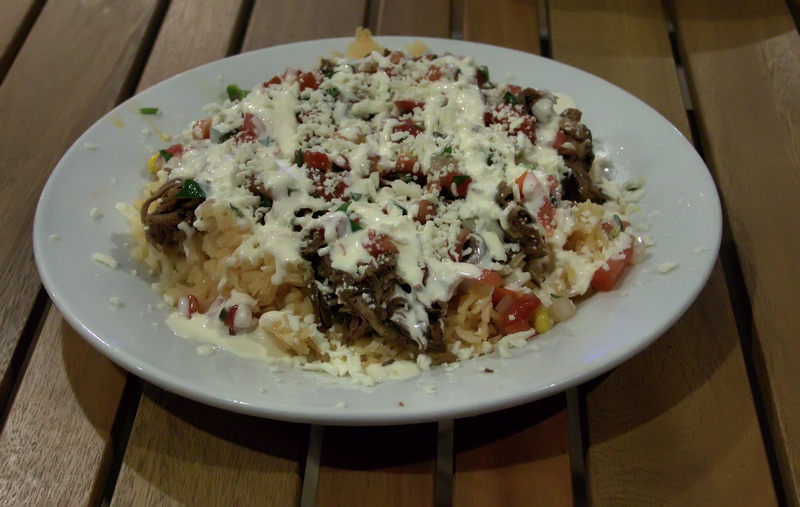 A TaKote bowl was next, which is not a traditional Mexican dish. This is a rice dish that is layered with your choice of meat, pico de gallo, peas and diced carrots and cotija cheese. It was topped with crema, a slightly sour and thickened cream used in Mexico. Although my dining companion didn’t care for it, I thought it was good and something different from the more traditional dishes we had ordered. We finished with an order of Mexican street corn, also known as elotes. 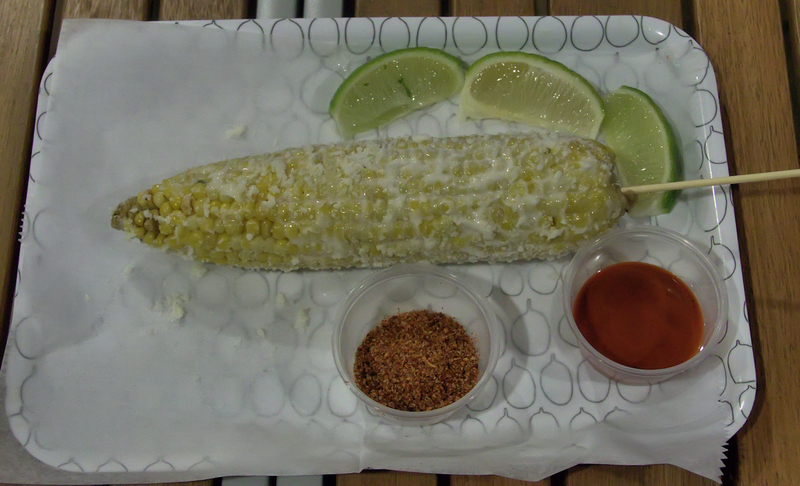 The corn was slathered with crema, and served with lime, chili powder and a tapitio like sauce as condiments. This was not my favorite version of this dish but my dining companion really enjoyed it. I guess it’s all a matter of taste. Although the market at TaKote, apart from its spice selection, is somewhat limited, the real star of the show is the restaurant. I thought the food served to us was for the most part excellent and will not disappoint. As we were leaving the restaurant I noticed this sign on an outside wall. I couldn’t agree more and TaKote definitely takes this to heart. It’s a wrap for another post on Forks.